Today, I’m going to tell you a little story. 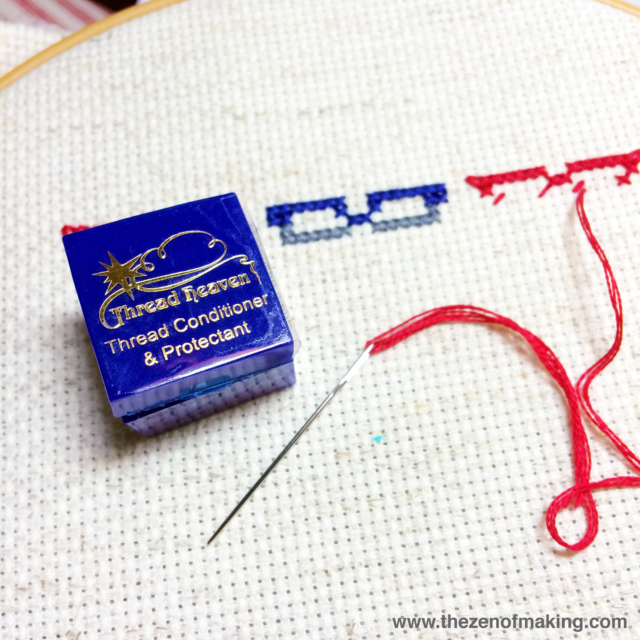 A story about my mad infatuation with a magical substance called Thread Heaven (affiliate link), a thread and embroidery floss conditioner that is solely responsible for saving both my hands and my sanity. This story begins with a book. More specifically, the cross-stitch book that I’m currently writing, and the resulting mountain of sewing that such a book necessitates. It’s fun work, but it’s still a bit tough on the hands, especially after a long day of solid stitching. Luckily, I’ve recently discovered a marvelous little blue box—no, not the TARDIS—and it has been nothing short life-changing. 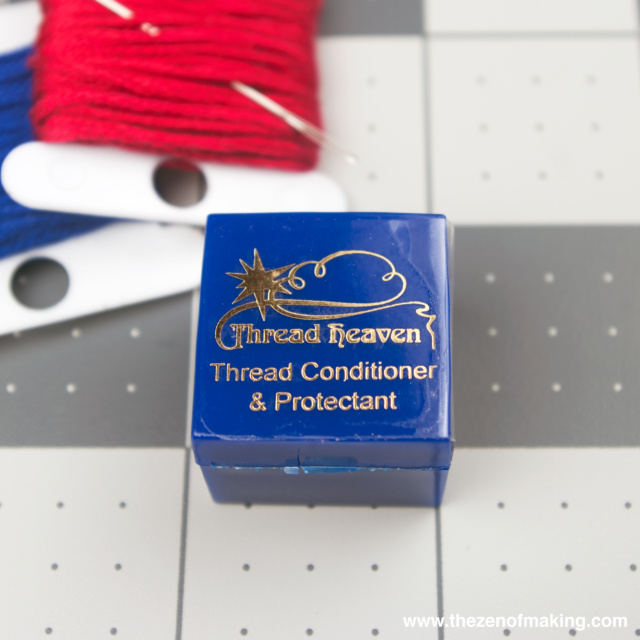 Thread Heaven is appropriate for use with most threads and on most fabrics, and is ideal for sewing, embroidery, quilting, cross-stitch, and more. A note on static electricity: According to the Thread Heaven website, the reason it works so well to prevent knotting (the part that saves my sanity) is because quickly running the coated thread through your fingers can produce a static charge that makes the ends repel each other, which, when threaded through a sewing needle, results in floss/thread that actually physically resists tangles. 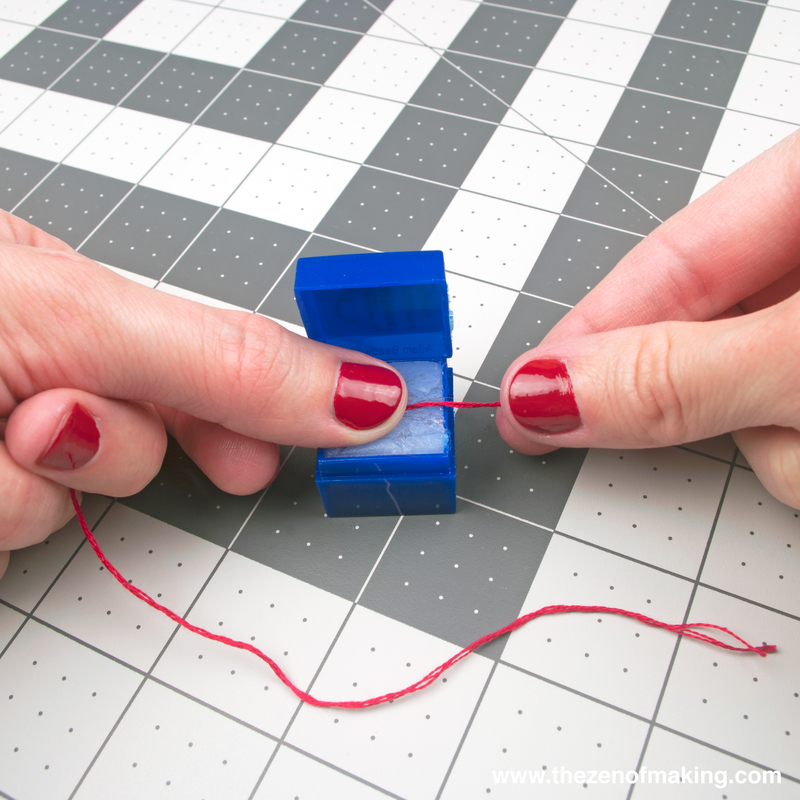 **Now, being both skeptical and a lover of science, I attempted to confirm this claim by charging the thread per the package instructions, then placing the two ends near each other to see if they’d repel. (Frankly, I thought it’d make a cool video for this post if it worked.) Alas, I tried it several times, but I didn’t notice any movement. 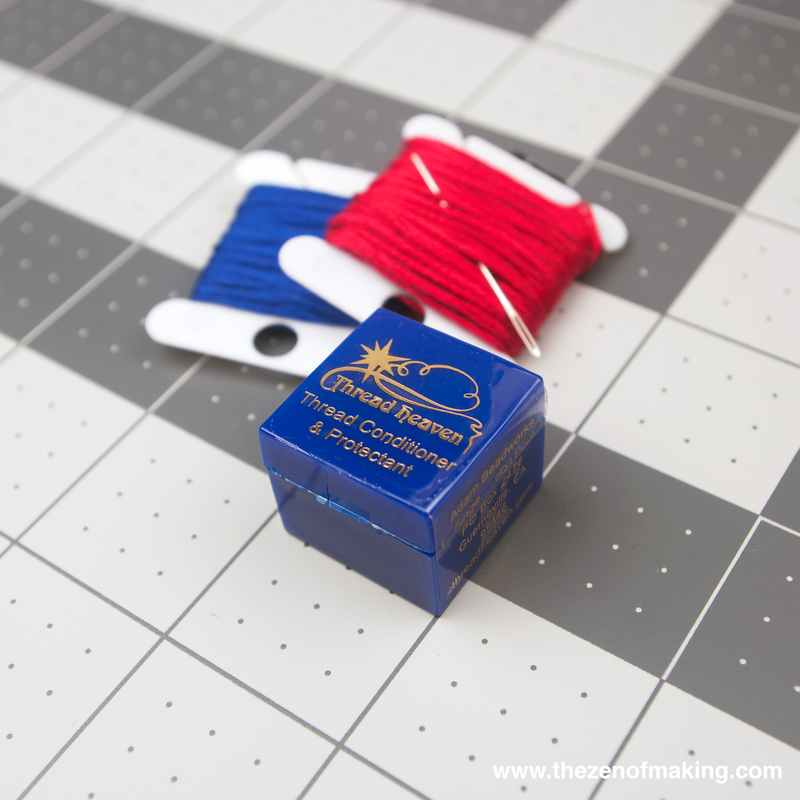 That said, even though correlation definitely doesn’t equal causation, I can, nonetheless, confirm that my thread hardly ever knots or tangles when I’m using Thread Heaven. So, whether it’s a simple matter of reducing friction or a legitimate static electricity-fueled physics trick, I can’t argue with the results! At first, I was a bit skeptical about why all of my friends were waxing poetic about a thread conditioner. I mean, how much difference could it possibly make? Turns out, a whole lot! Now that I’ve tried it, I’d never want to go back to stitching without Thread Heaven. 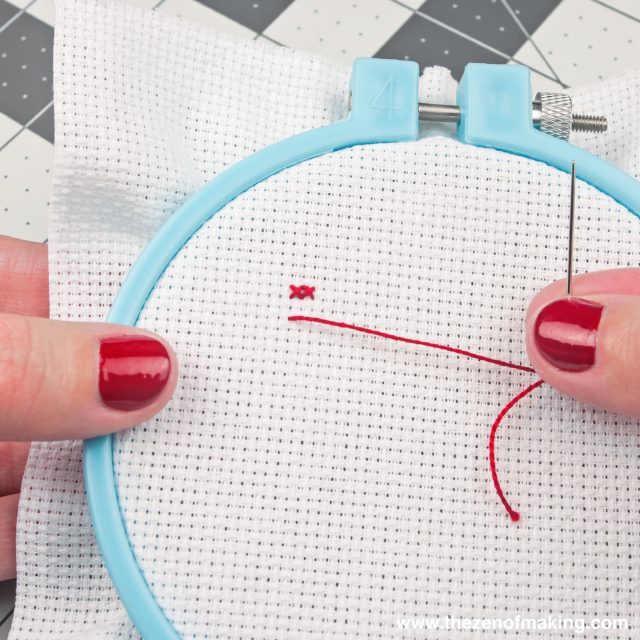 The thread/floss simply behaves better. 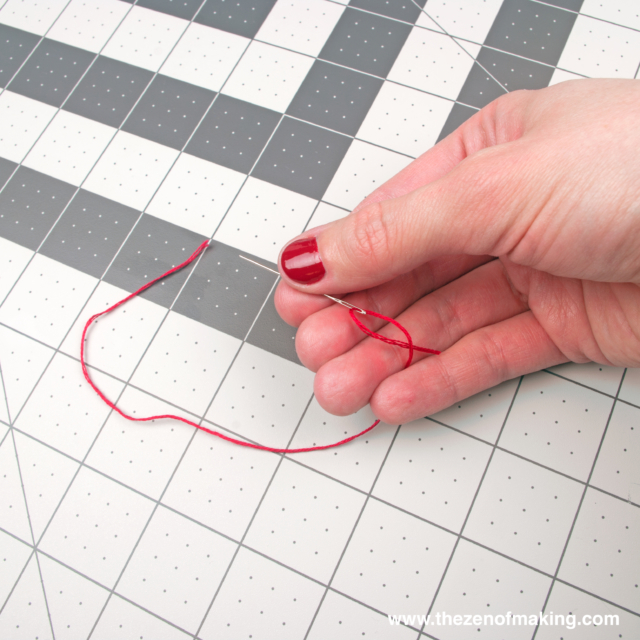 It stays smooth and straight, and there’s almost no tangling or knotting, even when I cut pieces to arm’s length. The ends of the floss fray less when I’m stitching, so I can keep sewing until the very end of the floss length without the stitches starting to look fuzzy. The individual stitches look smoother and more even. Thread Heaven doesn’t make a mess or get sticky or clumpy with use. Anecdotal, but still worth sharing #1: It seems like cat hair from my too-curious kitties is less inclined to stick to the floss while I’m working. Anecdotal, but still worth sharing #2: I accidentally splashed water on a piece stitched with red floss, and the color didn’t run at all. 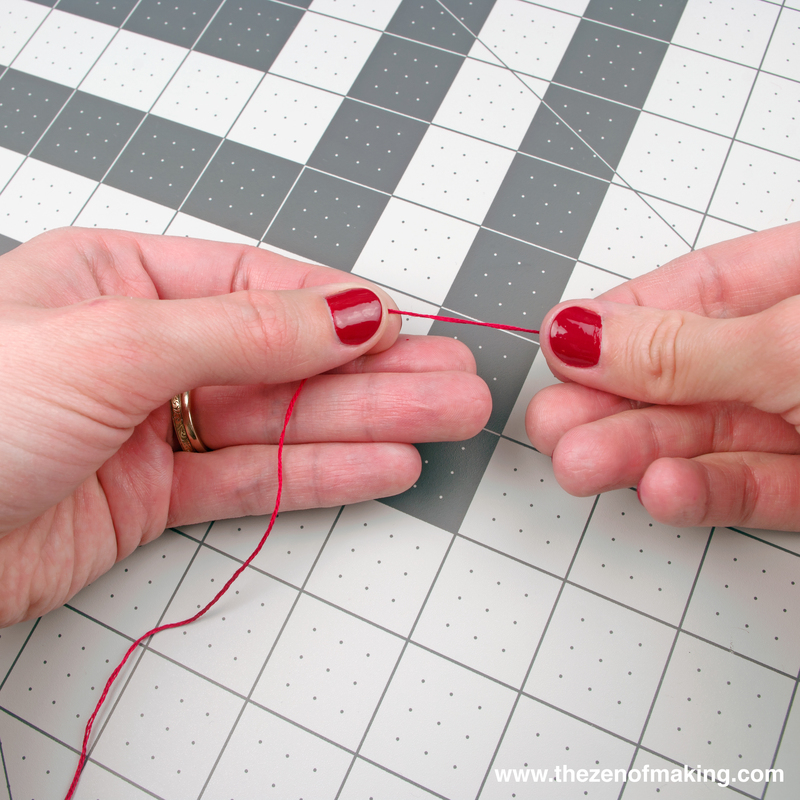 Press your thread or embroidery floss firmly into the Thread Heaven with your thumb or forefinger. First, press firmly on the thread and pull slowly to smooth out any kinks or creases and to remove any excess conditioner. Second, press lightly on the thread and pull very quickly to produce a small static charge. 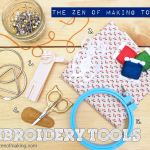 Stitch, sew, or quilt in blissful, stress-free comfort, rejoicing in less hand fatigue, smoother stitching, and fewer knots and tangles. 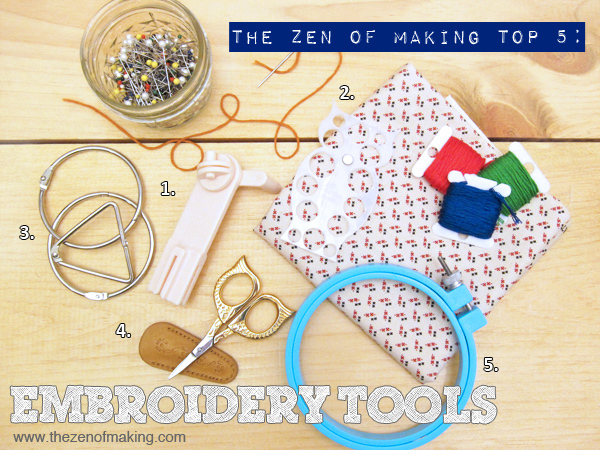 Looking for more indispensable embroidery tools? I’m intrigued! I might have to try some. I really like that you had pixtures in addition to video; for some reason I hate watching videos. Yep. Thread heaven is all that an a bag of chips! Lots of joy in that little blue box. I won’t stitch with metallics without Thread Heaven. Love that stuff. PS: I also prefer picture explanations. They are going out of business. All product has been shipped. Some are price gouging so if you need more I would go ahead and order. I know–I’m so bummed about it. Luckily, I’ve got an extra container or two stashed away, so I don’t have to face life without my beloved Thread Heaven quite yet!